Food writer, artist, and pasta-maker Linda Miller Nicholson (aka @saltyseattle) has a reputation for making avant-garde food. 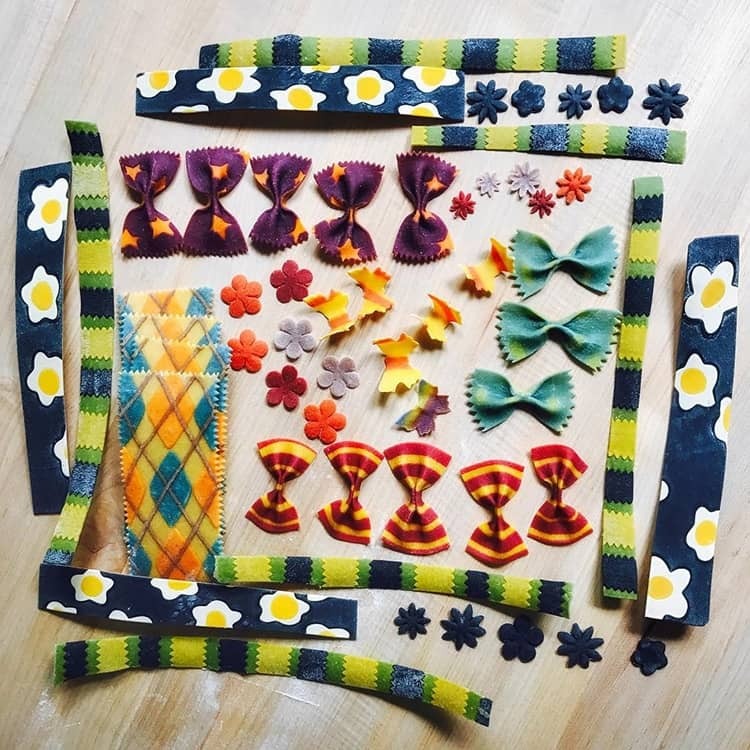 Dubbed the “Lady Gaga of Food” by the Cooking Channel, her homemade, colored pasta comes in an amazing array of rainbow colors, shapes, and designs. Nicholson learned how to make her own pasta at the age of four, and as an adult she spent some years in Torino, Italy—at the core of the Slow Food movement—where she learned to perfect her craft. As a mother, she struggled with the common problem of trying to get her son, Bentley, to eat vegetables, so decided to disguise them as pasta. Avoiding artificial colors completely, she started making green pasta dough using leaf vegetables. Since then she has experimented with different colored doughs by using other natural ingredients, such as herbs and various superfoods. The vibrant results have not only helped make healthy meals lots of fun—and fashionable—they have even encouraged little Bentley to make his own pasta art. You can keep up to date on Nicholson’s amazing pasta-art via Instagram. Food artist Linda Miller Nicholson makes amazing rainbow-colored, patterned pasta. Her pasta looks so great that she even wears it! Nicholson also uses pasta to re-create artistic masterpieces. All images via Linda Miller Nicholson. The post Food Artist Creates Rainbow-Colored Pasta Using All Natural Ingredients appeared first on My Modern Met.